Love is cool! 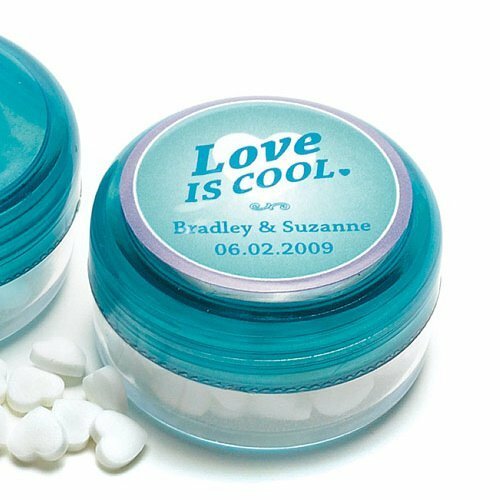 Featuring a 'Love is Cool' caption along with a fun blue and purple color scheme, these personalized stickers are the perfect way to top off mint tins or bottled water. You may customize them with the names of the happy couple and their wedding date. These charming stickers have a white background with lavender and blue accents. Minimum order is 36. Product dimensions - 1-1/2" Diameter.